Discover why dust extraction is a key differentiator with blasting rooms. Airblast Eurospray has spent many years perfecting blasting room dust extraction and ventilation. Our dust extraction systems are designed to maximise efficiency - constituting a key factor that sets our blasting rooms apart. Follow the links on this page to find out more about how to achieve clear visibility, minimise wear on parts, and provide a better quality blast. Our dust extraction rate is 0.254m/s (50fpm), a rate at which we can indefinitely suspend a particle of metallic dust. This prevents it from falling out of the airstream until we have captured it within the dust extractor. By capturing dust as it is generated, we avoid the build-up of dust associated with many booths on the market today. Our dust extraction systems allow air to enter the blasting room at a high level and exit at a low level meaning that they work with gravity. 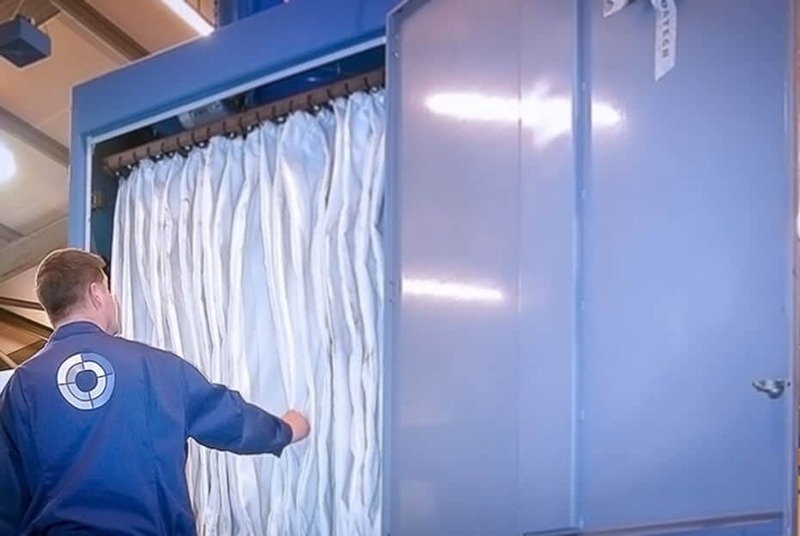 Many manufacturers avoid this method because it requires sophisticated air inlet and outlet fabrications to prevent fugitive emissions of abrasive particles, which adds cost to the installation. Instead, they choose to extract dust at a high level – a less expensive but fundamentally flawed option, as the dust extraction system is working against gravity. This generally results in a dusty blasting room. Placing a premium on dust extraction allows for blasting in a virtually dust free environment. This results in greater efficiency over time, and a safer blasting room environment. For more information, please get in touch with us via our Contact page. 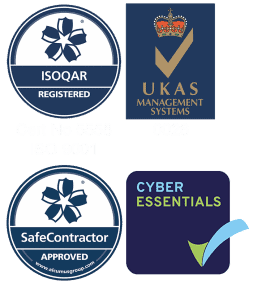 Alternatively, call our sales team on +44 (0)1778 560 650 and they will be happy to advise you. 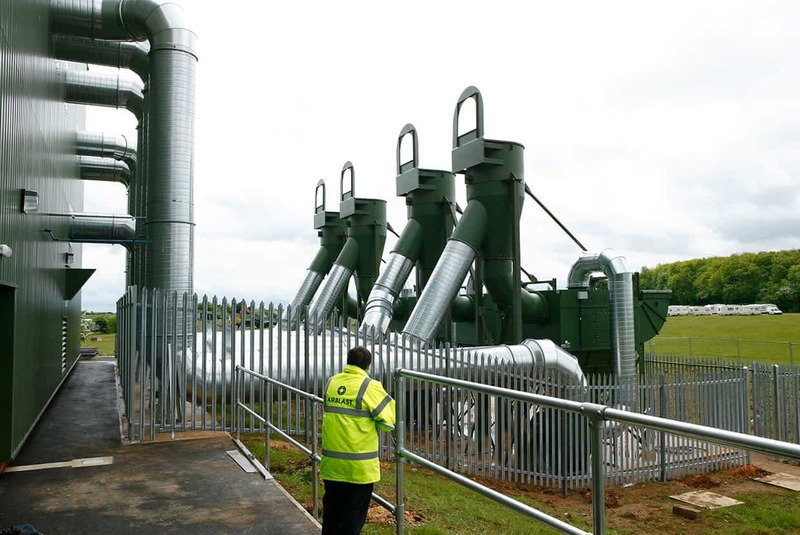 The Airblast Eurospray Air Pulse dust collector system comprises cylindrical felted fabric filter elements with zinc coated wire support frames. Airblast Eurospray Filter Modules are based on a standard design which results in similar standards of ventilation to a cartridge collection system. 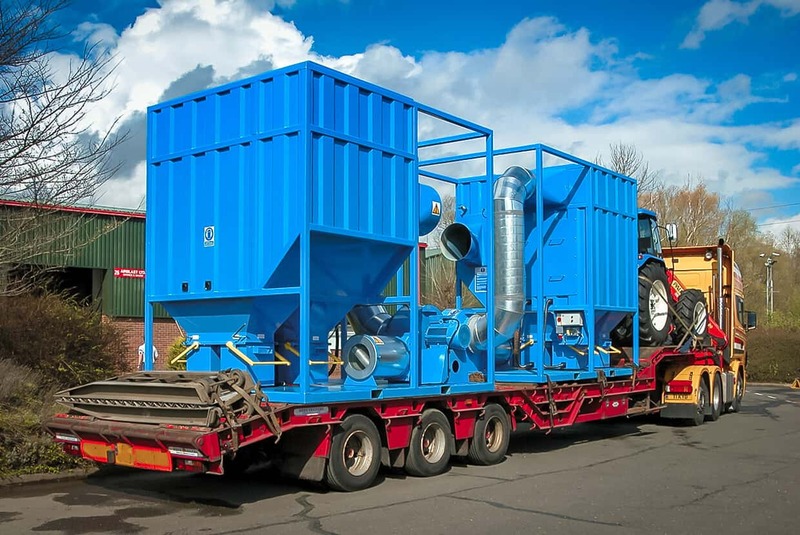 Airblast Eurospray offers large portable dust extractors based on its Air Pulse Cartridge Collector with adaptations to suit various site conditions.